There was a time when generic drugs were the tried-and-true way to save money on prescriptions. While that’s still true in the vast majority of cases, some notable exceptions mean that it’s time to revisit the age-old advice to always ask for generics. Pharmaceutical companies take a number of steps to boost revenue before the patents on their drugs expire. This can mean reformulating a drug to win an extended patent, or raising the price of the drug to maximize short-term profits. But when the clock is finally about to run out, they’re turning more often to a different strategy — trying to match or even beat the price of new generics that hit the market. Consider Nasonex, a popular nasal spray for allergies. Its maker, Merck & Co., faced a so-called patent cliff — the moment when a drug’s patent expires and one or more generics become available. In March, a generic was introduced as the patent on Nasonex expired. But the new generic is the only one available, so its manufacturer set a higher price than if multiple generics were on the market. Merck met the new competition by effectively lowering the price of Nasonex. The company did this through discounts to consumers and rebates to pharmacy benefits managers (PBMs) that health insurers hire to manage their drug benefits. This made Nasonex a more cost-effective choice. As a result, Blue Cross placed the brand-name drug in the same tier in its formulary, or list of covered drugs, as the generic. More brand drugs are following a similar path as Nasonex. The patent on cholesterol drug Crestor, for example, recently expired. It too is now on the same formulary tier as the generic version. Over time, health insurers begin to move branded drugs back to higher tiers as more generics enter the market and competition heats up. 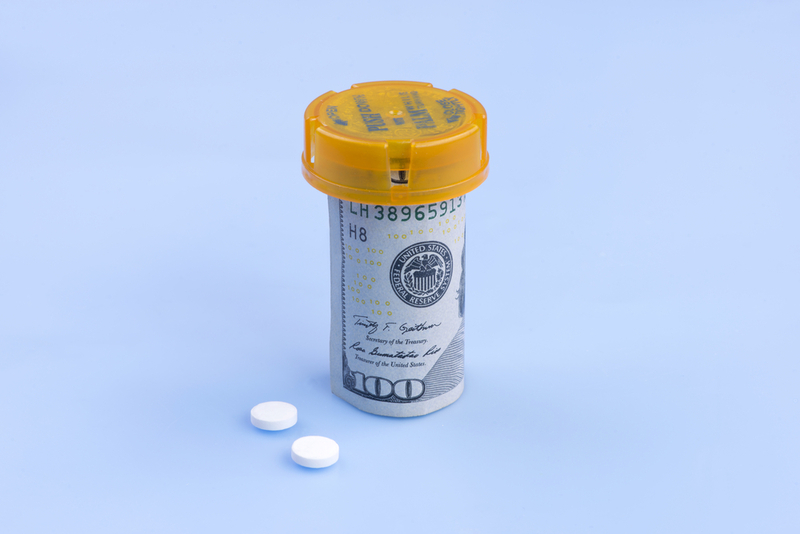 These trends in drug pricing mean it’s time for consumers to develop new habits to save money on prescriptions. The generic. In most cases it’s still the lowest-price option, and has the same active ingredients as brand-name drugs. Generics are FDA-approved, and safe and effective for most patients. The brand-name drug. In instances where the branded drug is in the same formulary tier as the generic, it could be the best option. A therapeutic alternative. It’s worth it to ask your doctor for all options to treat your condition. Generic therapeutic alternatives don’t have the same exact chemical makeup as the branded drug, but might work just as well. When a brand-name drug is still under patent, generic therapeutic alternatives may be the least expensive way to help. One piece of advice about prescription drugs still rings true: Be sure to discuss all options with your physician. It’s a good idea to go to your appointment with the latest information on generics and brand-name drugs. Blue Cross customers can use the company’s online formulary to look up prescription drug information and compare out-of-pocket costs, as well as find money-saving tips on prescriptions. Tips include asking for alternatives like generics, ordering a 90-day supply and having your doctor review your medication checklist.